Back at Interbike we made friends with a German designer named Dirk. He’s got a pretty wide resume ranging from the Ergon grips currently on Matt’s city bike to this crazy, only-a-German-could-make-it 18 speed internal gearbox called Pinion. After a long night/early morning at Stevil Kinevil’s annual Interbike soiree, one thing lead to another and Dirk was deemed worthy (i.e. he fit into one of our samples) of being the first person in all of Europe to rock a pair of our Cordura jeans. 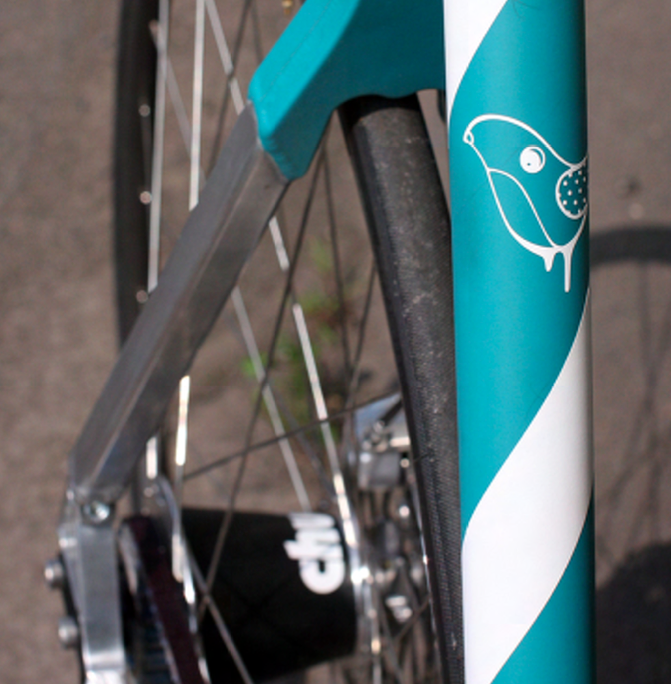 Over the holidays Dirk dropped us a note to say hi and shared a few shots of his super commuter that made our jaws drop. This thing is so cool we don’t even know where to begin. 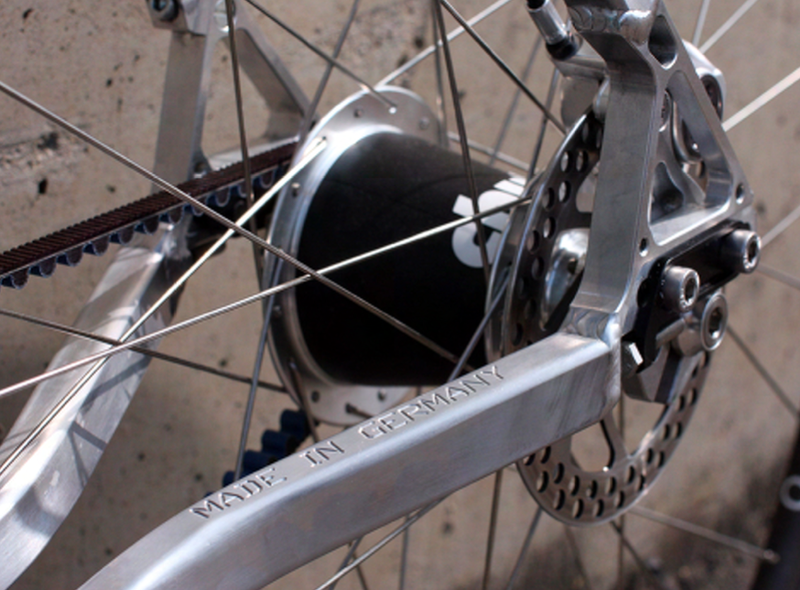 Dirk designed it himself and Nicolai made it happen. The frame is made from Easton elite aluminum with track geometry and an extra beefy front end thanks to the 1 1/2″ – 1 1/4″ head tube. 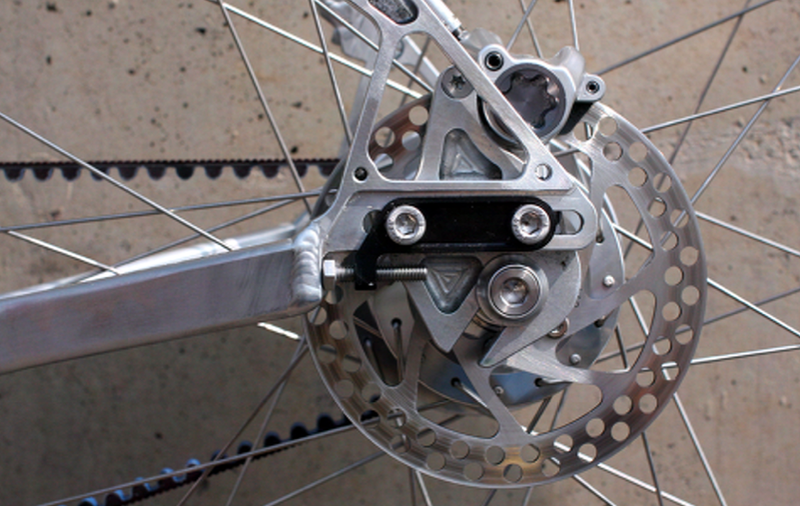 It features a Gates Carbon belt drive and since it’s a single speed a Magura disc brake takes care of the stopping. We’ll go out on a limb and say it’s a pretty sweet skid machine. 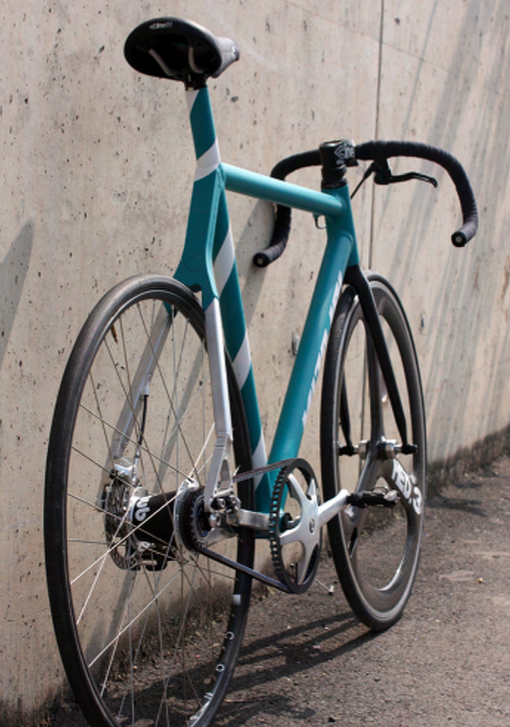 Dirk says his “Uniquolai” is a one-of-a-kind bike (as if he really needed to add that part). 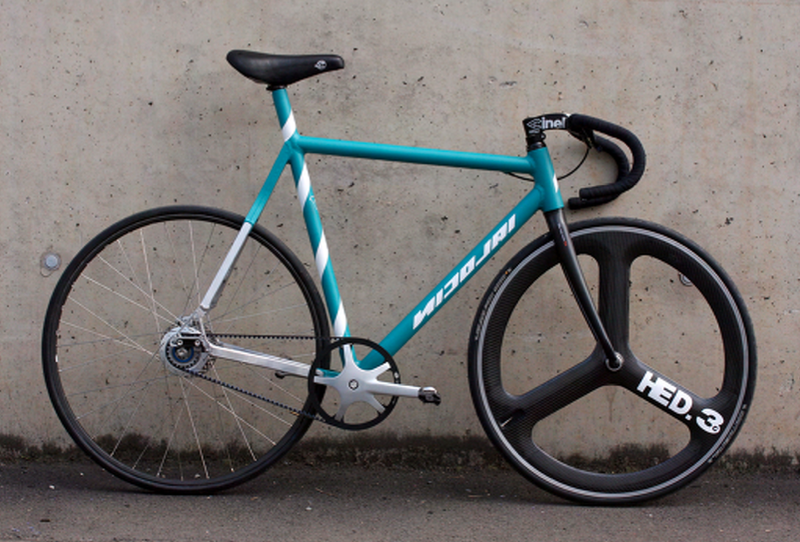 Since we’re as geeky as you when it comes to bikes, we’re always curious to see what folks are riding. If you’ve got a favorite bike you’d like to share with our little corner of the internet drop us a note and we’ll show it off. This entry was posted on January 5, 2012 at 6:13 pm and is filed under Uncategorized. You can follow any responses to this entry through the RSS 2.0 feed. You can leave a response, or trackback from your own site.